Android Studio offers a rich palette of built-in development tools, and an even more abundant plugin ecosystem. 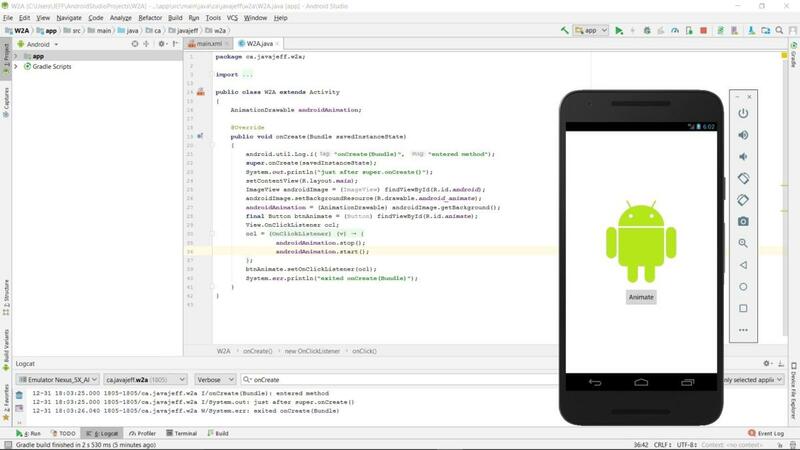 The first three articles in this series focused on installation and setup and coding and running a simple mobile app with Android Studio. 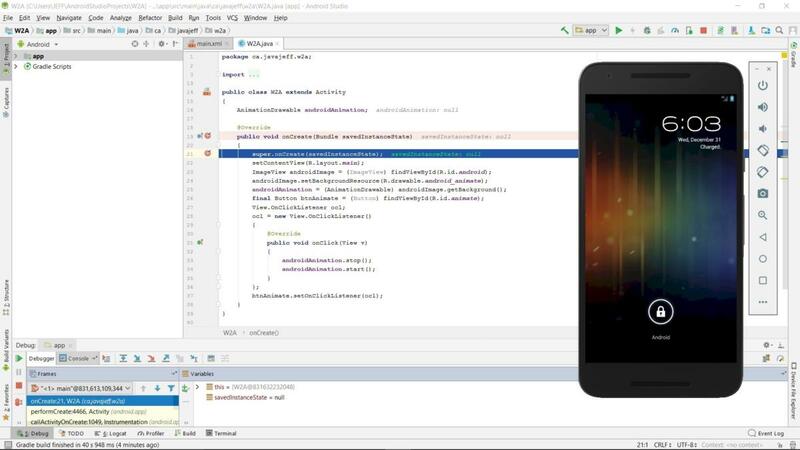 Now you'll get acquainted with some of the more advanced tools: three built-in tools and three plugins for debugging and improving the quality and productivity of your Android application code. A buggy app is a sure way to drive away potential customers. 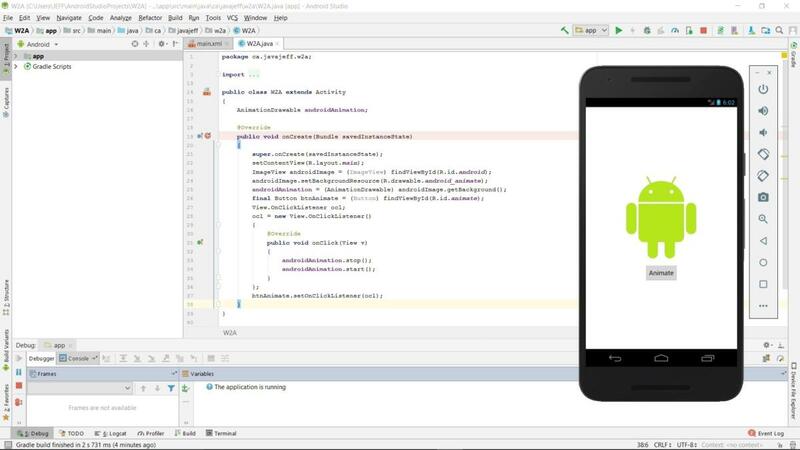 Logcat and Debug are two tools that come built-in to Android Studio, which you can use to identify and fix bugs in your Android code. You might not need or want a full-blown debugger for every "buggy" scenario. In some cases it's sufficient to log and correct the values of certain variables. Android Studio's Logcat is perfect for this task. Logcat is a command-line tool (integrated into Android Debug Bridge -- ADB) that dumps a log of system messages that can help you find and fix problems in your code. Messages include stack traces for when the device throws an error, and log messages that you've purposefully embedded with the android.util.Log class. 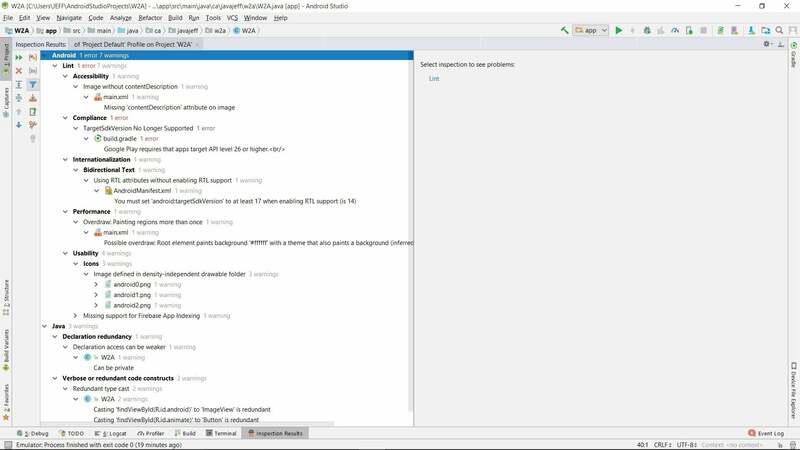 Logcat is so useful it's been integrated directly into Android Studio, where you can access it from the View menu or the tool window bar. A drop-down list identifying installed APK packages on the selected device. Debug: show debug log messages that are useful during development only, as well as the message levels lower in the drop-down list. Info: show expected log messages for regular usage, as well as the message levels lower in the drop-down list. Warn: show possible issues that are not yet errors, as well as the message levels lower in the drop-down list. Error: show issues that have caused errors -- thrown exceptions, as well as the Assert message level. A search bar where the only messages that appear are those containing the text you type in this control. A check box that lets you use regular expressions in the search bar. For example, in the context of Figure 1, you might specify SystemClock | AlarmManager (i.e., the message must contain either word). No Filters (the default) causes all messages for the selected device to appear, regardless of the selected APK package. Show only selected application presents only those messages for the selected APK package on the selected device, which are of the appropriate log level or lower. Edit Filter Configuration lets you create a custom filter. In the source code, you can insert calls to various android.util.Log methods to log messages. For example, you might call public static int i(String tag, String msg) to log an INFO-level message, or public static int w(String tag, String msg) to log a WARN-level message. For either method, the string passed to tag identifies the message's source (e.g., the method in which this logging method was called), and the string passed to msg identifies the message being logged. Alternatively, you could call System.out's and System.err's print() and println() methods. Calls to the System.out methods accomplish the same thing as log.i() calls; calls to the System.err methods accomplish the same thing as log.w() calls. In Figure 2, the only displayed messages are for the example app process running on the emulated Nexus 5X device. Furthermore, these messages must contain onCreate and be accepted by the Show only selected application filter. Check out Google's "Write and View Logs with Logcat" to learn more about Logcat. Also study the android.util.Log class's documentation. Select a device on which to debug your app. Set breakpoints in your application code (Java, Kotlin, or C/C++). If your app includes C/C++ source code, you'll need to install LLDB from the SDK Manager (see Figure 3). Fortunately, the example app for this series (W2A) doesn't contain C/C++ code, so we can ignore this prerequisite. You must enable debugging on a connected device. However, if you're using an emulator (which we are for this example), you can ignore this prerequisite. Debugging is enabled by default on emulated devices. You must run a debuggable build variant. By default, this is created for you, so in many cases (including this example) you don't have to worry about it. Let's run through a quick debugging session. Click the gutter area to the left of the line; the line should turn pink in response. 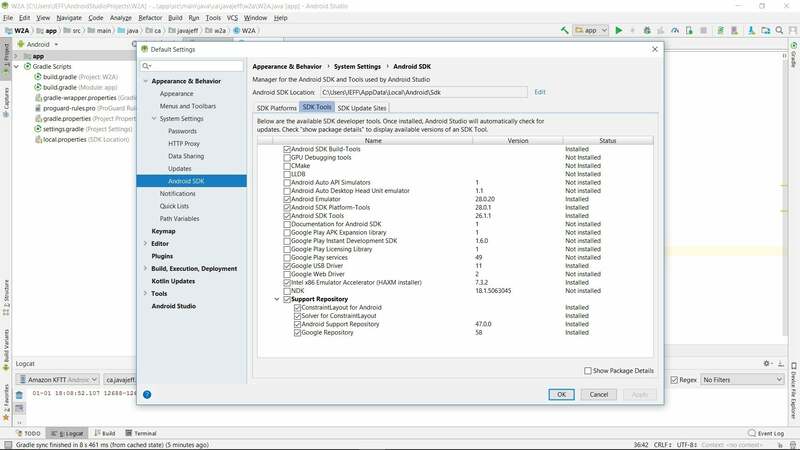 Select Toggle Line Breakpoint from the Run menu. Press Ctrl and F8 simultaneously. 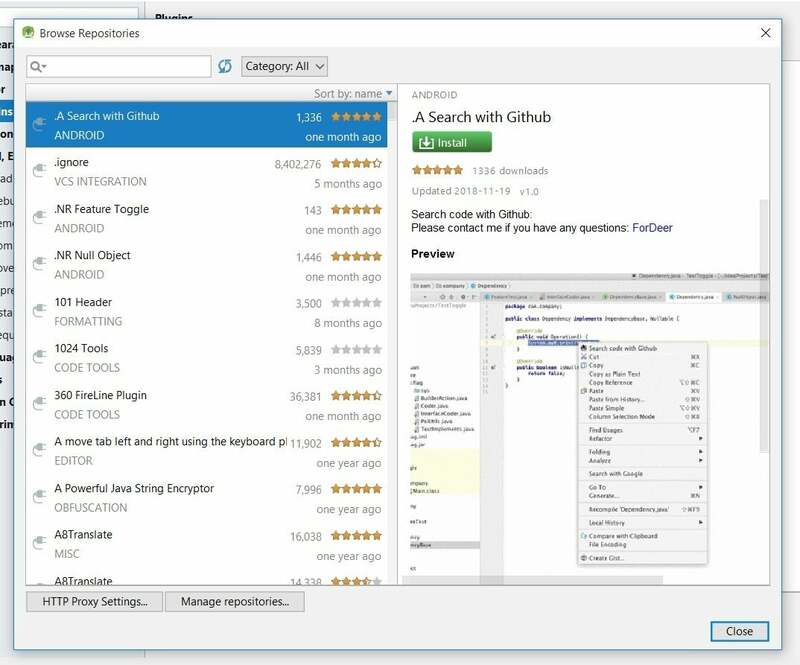 Now select Debug 'app' from the Run menu, or click the appropriate icon on the tool bar. If the emulator isn't running, you'll observe the Select Deployment Target dialog box. I selected Nexus 5X API 15 and clicked OK. While you're waiting for the emulated device to come online, click the Debug button on the tool-window bar to display the Debug window. Eventually, you should see something similar to Figure 4. The Debug window provides icons for stepping over, into, and out of a method, and more. Figure 5 shows what happens when we step over a method. Click the appropriate icon and select Step Over from the Run menu, or press F8. This lets us proceed deeper into the onCreate() method while stepping over each method call. Select the line with the closing } character for the onCreate() method, then select Run to Cursor. You'll receive a notice that the application is running. After unlocking the device, you should see the example app's activity window. 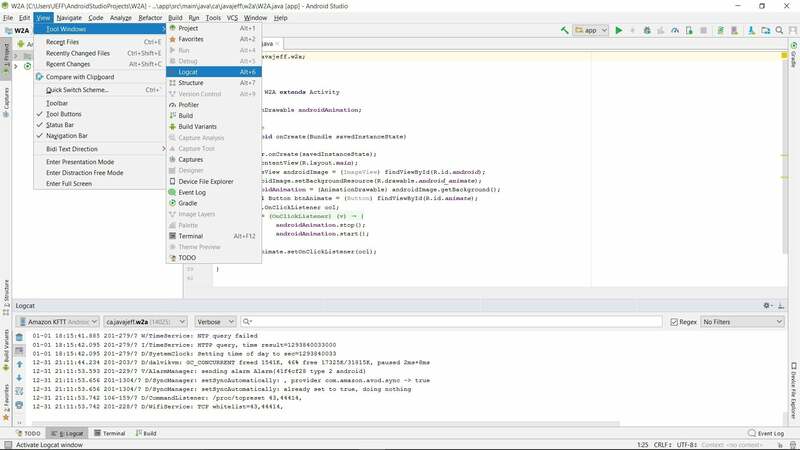 Check out Google's "Debug your app" to learn more about debugging in Android Studio; for example, how to use various kinds of breakpoints. While not covered here, I recommend checking out GAPID: Graphics API Debugger, a collection of debugging tools that let you inspect, tweak, and replay calls from an Android app to a graphics driver. No matter how carefully you write it, your source code is likely to contain bugs, stylistic issues, and may reference resources that are inactive for one reason or another. A linter is a type of tool that scans source code for evidence of these and other bits of nasty fluff, which it reports to the developer. Lint is a built-in linter for Android SDK. You can use it to locate issues such as deprecated elements and API calls that aren't supported by your target API. 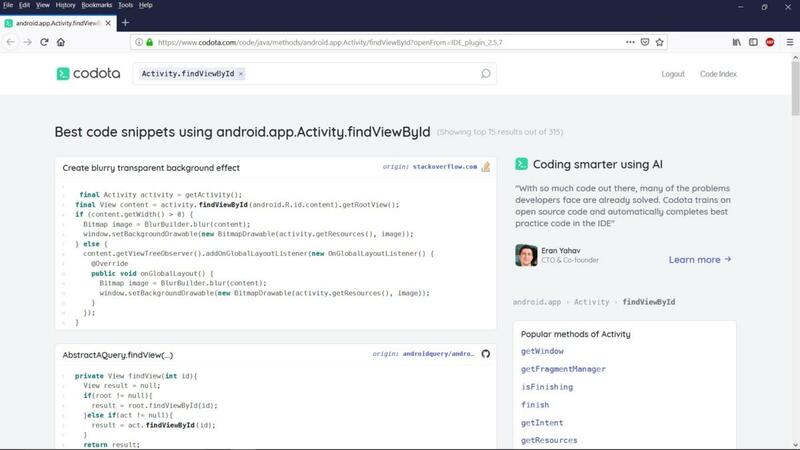 To run Lint from within Android Studio, select Inspect Code... from the Analyze menu. 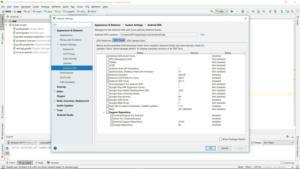 Doing so activates the Specify Inspection Scope dialog box. From the dialog box, select the desired scope (entire project, in this case), then click OK to begin the inspection. The results will appear in the Inspection Results window, where they're organized by category. True to its nature, Lint has picked out a few pieces of fluff that could otherwise clutter the application code. 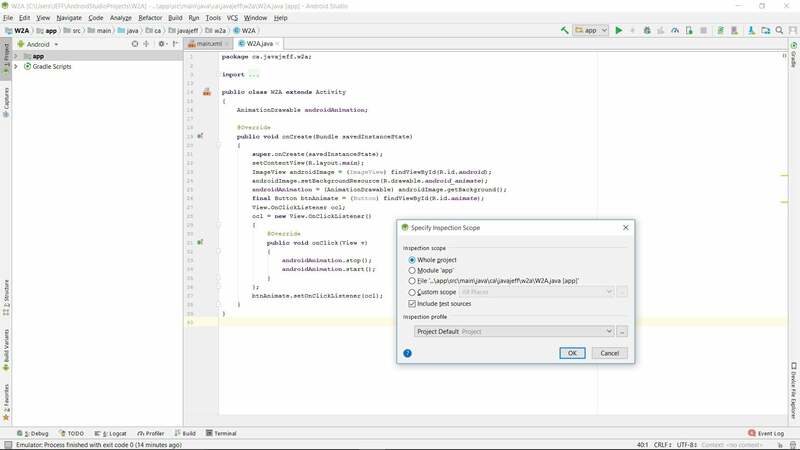 Once spotted, it's easy to fix the three Java warnings shown in Figure 8: simply declare androidAnimation private and remove the casts from the two findViewById() method calls. Check out "Improve your code with lint checks" to learn more about using Lint in Android Studio, and to learn about the Android SDK's standalone Lint tool. Next, click Browse repositories... to activate the Browse Repositories dialog box, which presents a full list of supported plugins. We'll use this dialog to select our first plugin, ADB Idea. 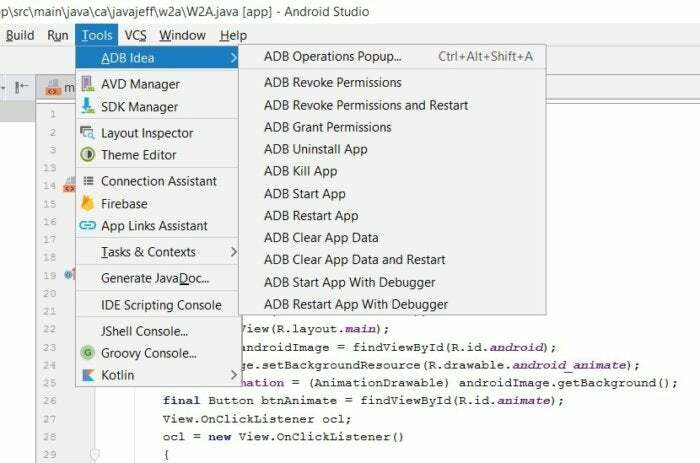 ADB Idea speeds up day-to-day Android development by providing fast access to commonly used ADB commands, such as starting and uninstalling an app. Select ADB Idea in the repository list of plugins, then click the Install button. 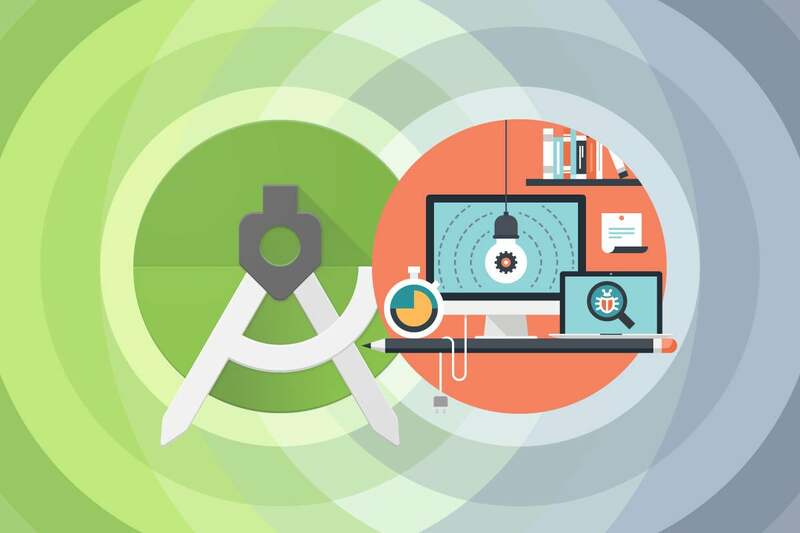 Android Studio proceeds to download and install the plugin. It then relabels Install to Restart Android Studio. 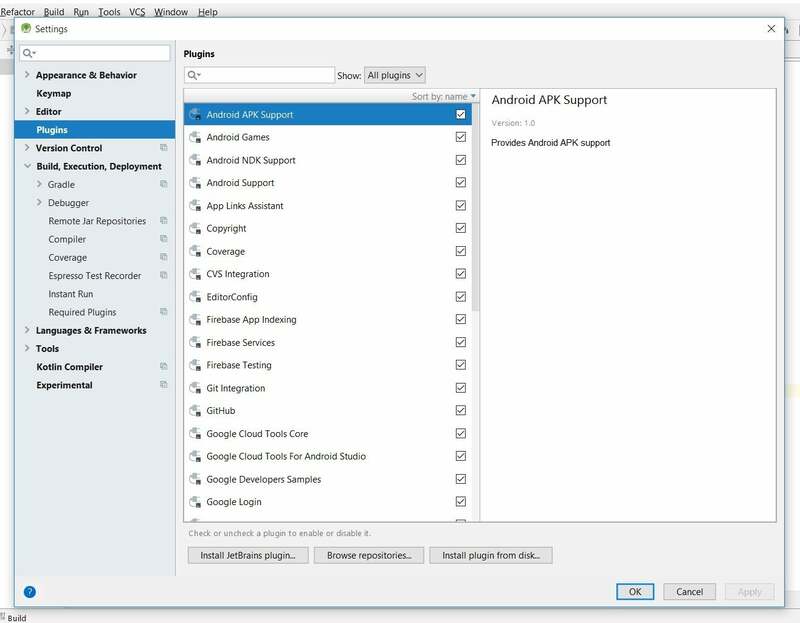 For each plugin, I had to reselect the plugin after clicking Restart Android Studio, and then click this button a second time in order to restart Android Studio. 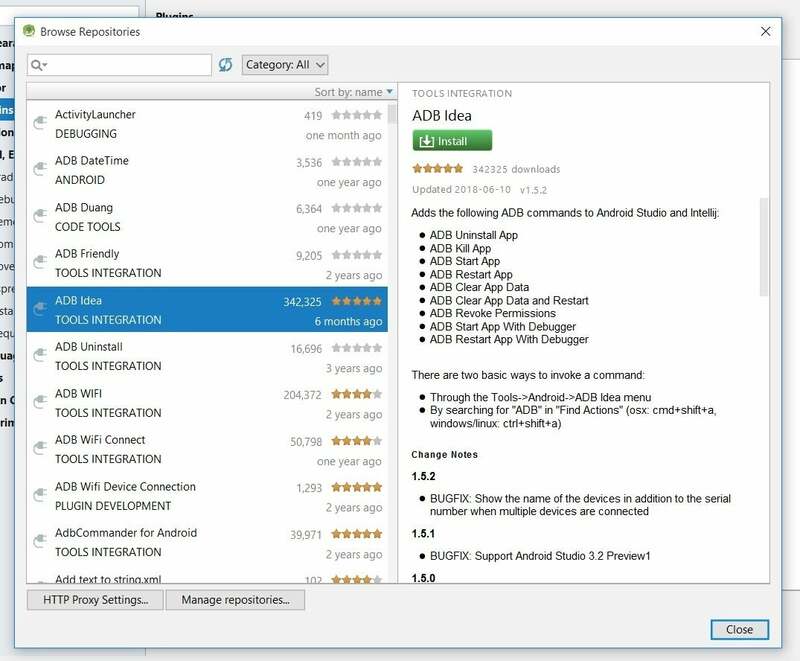 Once installed, Android Studio lets you access ADB Idea from its Tools menu. Select Tools > ADB Idea and choose the appropriate command from the resulting pop-up menu. After I selected ADB Restart App, I observed the following messages in the Event Log window as well as the restarted app on my Amazon Kindle device. 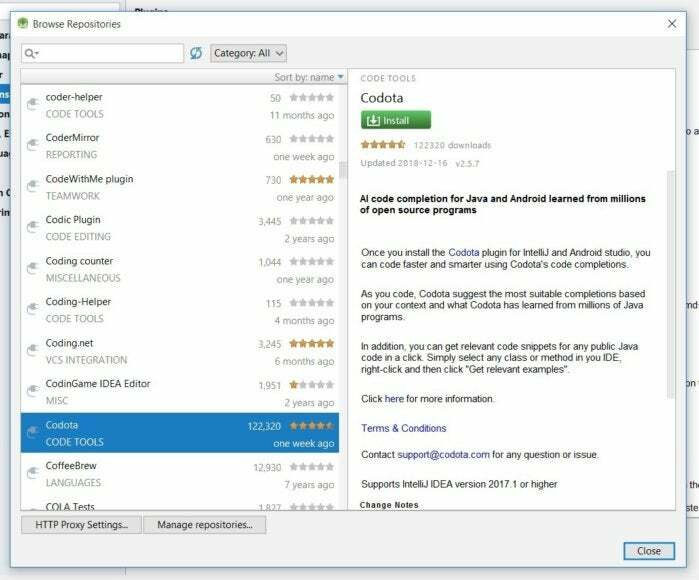 You can use the Codota plugin to access the Codota search engine, which lets you look through millions of publicly available Java source code snippets for solutions to Android coding problems. 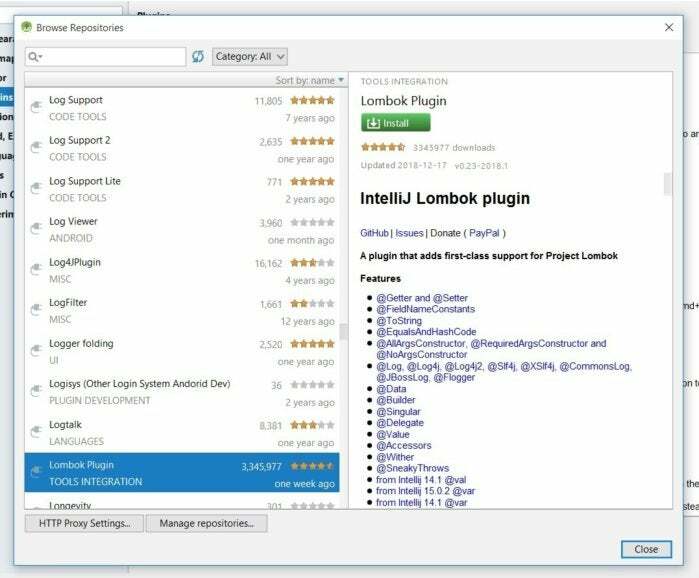 Select Codota in the repository list of plugins and then click the Install button. 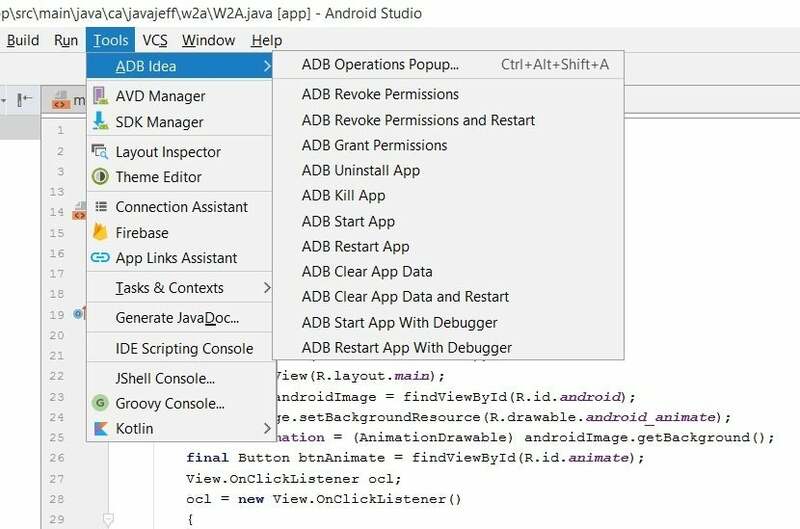 After Android Studio has downloaded and installed the plugin, it will re-label the Install button to Restart Android Studio. Restarting activates Codota. Upon restart, you'll encounter the Codota Authentication dialog box. Click the link and follow instructions to receive the token. Then, paste the token into the aforementioned dialog box and click Go. 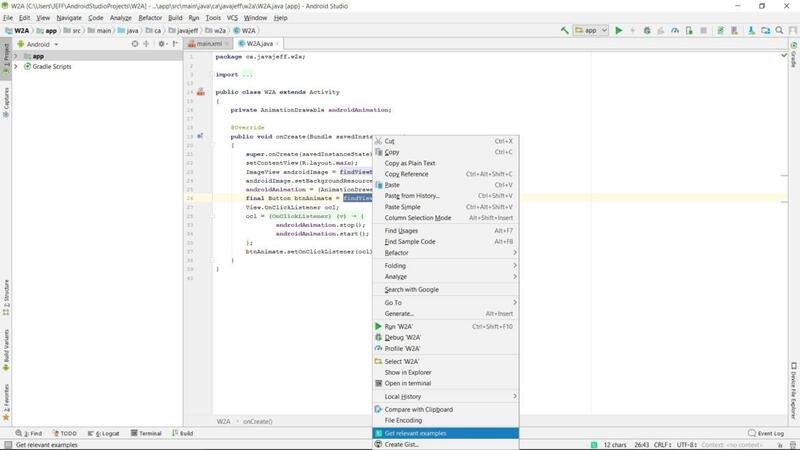 Android Studio lets you access Codota by right-clicking on Java code in the editor window and selecting the Get relevant examples menu item, as shown in Figure 16. Project Lombok offers a set of annotations that you can use in place of boilerplate code, thus saving you time writing out this code by hand.